I love a good food blog. Recently I stumbled upon Simply Scratch - and found myself lost... scrolling through pages and pages of the beautiful tasty recipes. I love the diverse selection - lots of creamy comfort foods and some great healthy options. 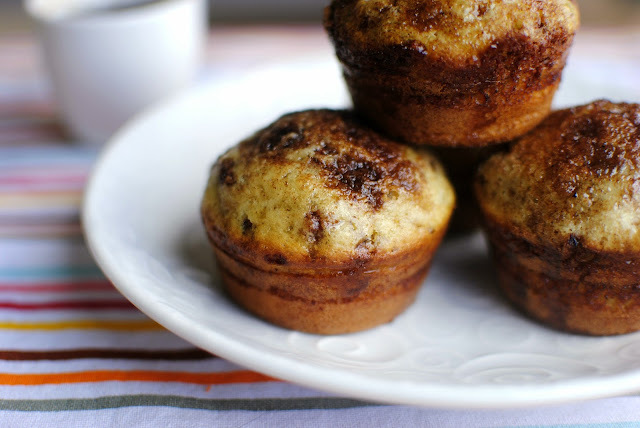 This morning Barry awoke to the scent of these delicious pancakes - Cinnamon and Brown Sugar Swirled Pancake Muffins. They were delicious. I made them in muffin form as suggested with the recipe and they did not disappoint. 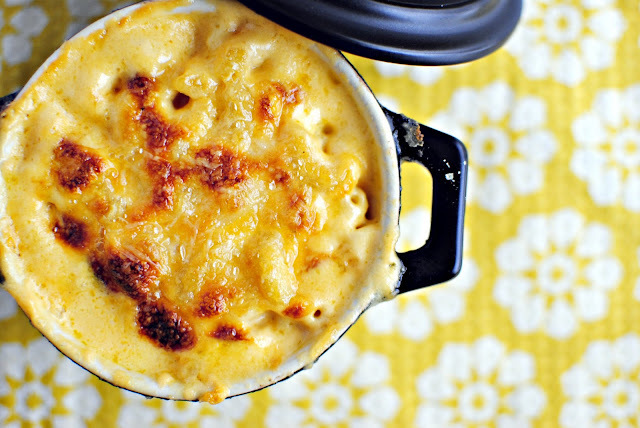 For dinner we indulged in Baked Macaroni and Cheese also from Simply Scratch. I served the macaroni and cheese as the main dish with plenty of steamed broccoli and carrots to offset the insane creaminess. I did add some panko bread crumbs to the top along with shredded cheese to up the crunch. Overall this recipe is a keeper and I will be pulling it out occasionally. I can't recommend it enough - Simply Scratch has oodles of tasty looking recipes. Check it out! Days like today are definitely ones to remember. Lots of good food - laziness on the couch and plenty of warm laundry to fold.